June is National Candy Month! Although no one really knows when or why an official date for celebrating candy was established, it seems to be the perfect excuse to indulge in all things sweet. In honor of National Candy Month, I’ve put together a list of the most dainty, delectable, and downright desirable candies to serve at your wedding or give as favors to wedding guests. An old fashioned candy that’s surprisingly easy to make. 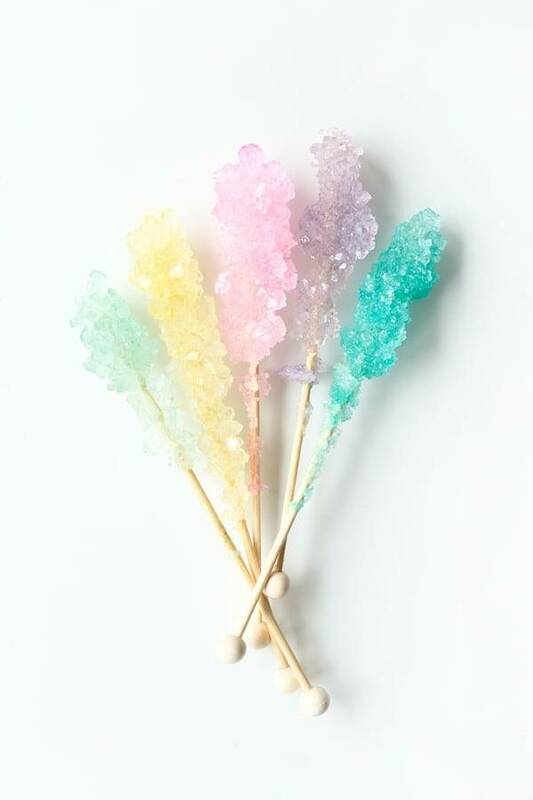 All you really need is sugar, water, jars, candy sticks, and food coloring. Here’s the recipe if you’d like to give it a go. If not, visit your local candy store or search online for rock candy bulk orders. 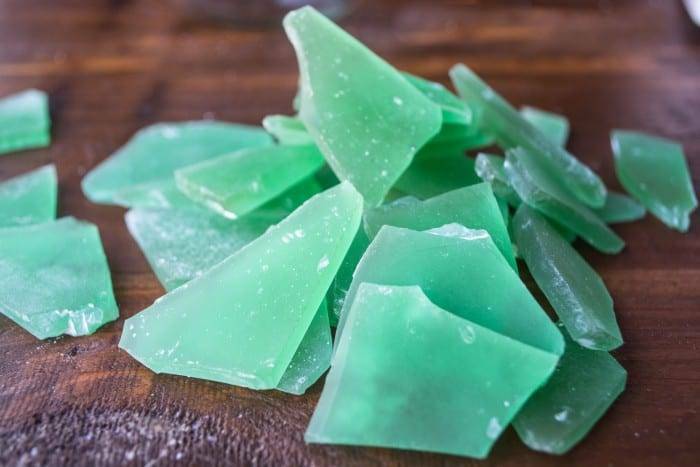 Here’s another easy-to-make hard candy that you can bake in batches. I think it would be particularly fitting at a beach or sea-inspired wedding. Put the pieces in a favor bag or box and tie it off with a message in a bottle secured to ribbon or twine. Your message could be anything from a simple “Thank you for coming,” to a personalized message, depending on how many guests you’ll have. 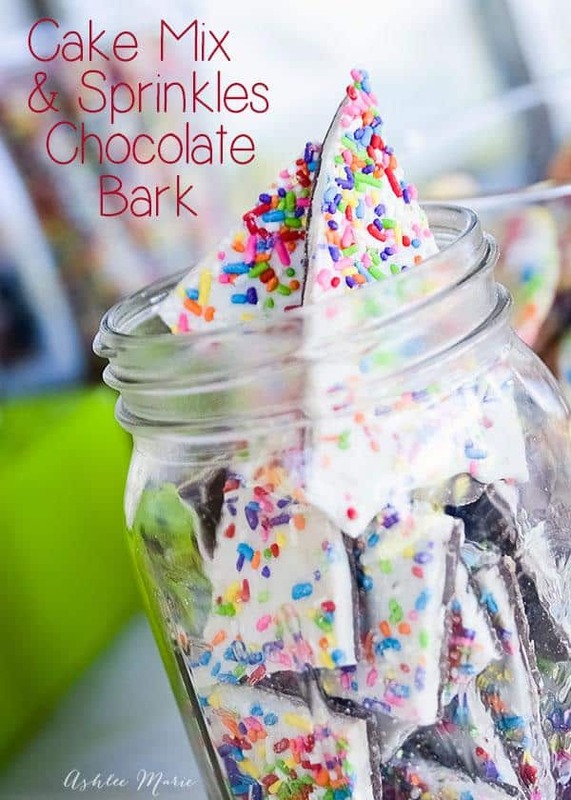 Wouldn’t this chocolate bark look amazing on the candy buffet table? Especially at a colorful, whimsical wedding. Also great as a favor, because who doesn’t love chocolate and sprinkles? Sure to bring the kid out in anyone. This cotton candy cocktail puts a sweet twist on the sugary treat. 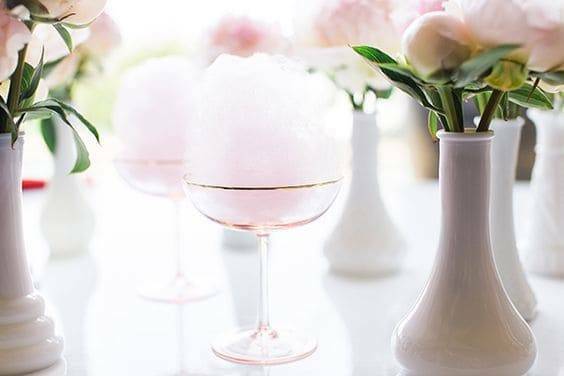 Just fill a glass with sparkling wine or champagne and any cotton candy flavor you’d like. Not only is it delicious, but looks so pretty in photos. I had to include more cotton candy in this post because…feathers! 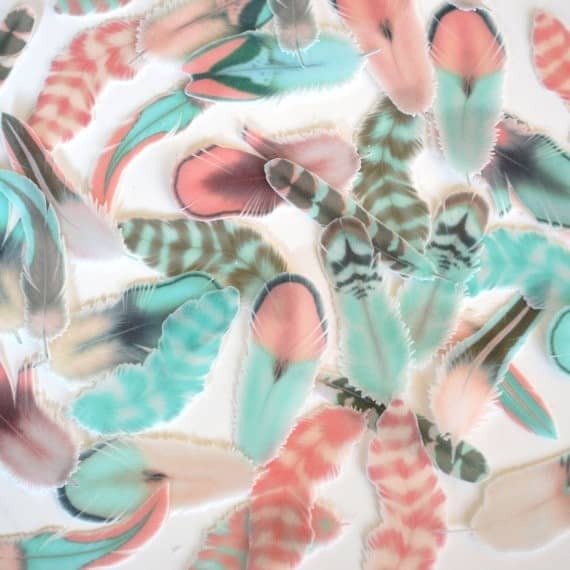 Yes, edible cotton candy feathers that would be oh-so perfect at a boho-themed wedding. Give as is or use as cake and cupcake toppers. These! So beautiful. So unique. 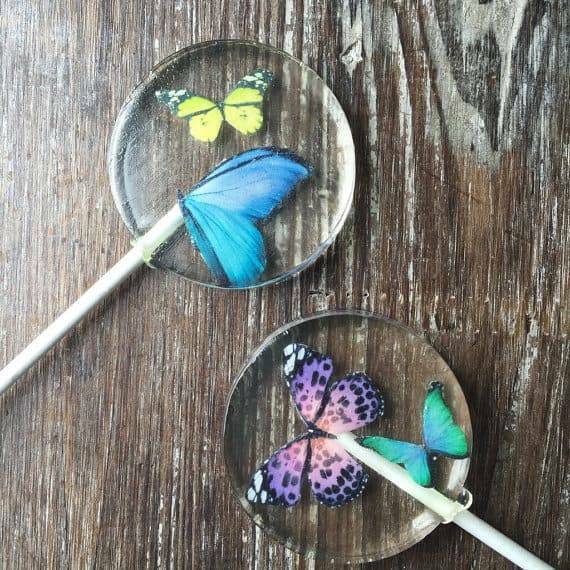 Too pretty to eat, but they come in a variety of flavors (cake batter, cinnamon roll, pina colada, key lime, root beer, mango…) I think these lollipops would also make for lovely bridal shower favors and as gifts at a woodland/garden-themed wedding. 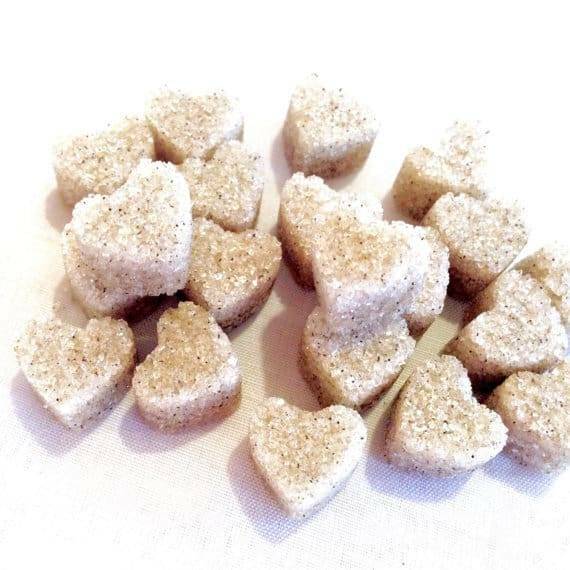 If you’re having a coffee or tea service at your wedding, consider serving these little peppermint vanilla sugar hearts for guests to sweeten their drink with. They would also be just as nice as favors for guests to take home and eat as candy or drop in their tea, coffee, hot chocolate, lemonade, whatever! With so many amazing candy options out there, it might be hard to choose just one. In that case, fill a jar, bag, or small box with your favorite candies. And have a happy month of candy!